The Ford Ranger is a compact pickup truck produced by Ford Motor Corporation and marketed by Mazda. It is manufactured and sold in countries like South Africa, Chile, Argentina, UK, Australia, USA, and Brazil. At present it is sold as Mazda B-Series and it is available in 130 countries. The initial Ford Ranger model was introduced in 1983. The production of the model began in 1982, focusing on fuel efficiency and quality, but the original model hit the market in 1983. It was offered in four wheel drive. 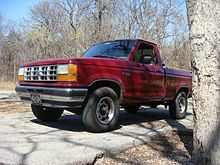 Available engines to the 1983 Ford Ranger model include 2.0 liter OHC 4-cylinders version that delivers 72 hp of power, 2.3 liter OHC, 2.2 liter and 2.8 liter V6 versions. Also available was turbo diesel engine. Available transmissions to the engines include 4-speed manual, 3-speed automatic and 4-speed automatic. The high performance Ranger GT model was introduced in 1986 and it was offered in single trim version, standard cab. It had the wheel base 107.9 inches, length of 175.6 inches, and width of 66.9 inches. 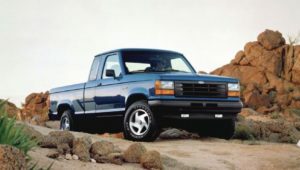 The compact pickup truck was related to Ford Bronco 2. Only two engine options were available in this generation, 2.3 liter I-4 and 2.9 liter V6 version. The transmissions available were 4-speed automatic with overdrive and 5-speed manual transmission with overdrive. With the V6 engine, the compact pickup truck can achieve fuel economy of 20 miles per gallon in the city premises and 24 miles per gallon on the highway roads. 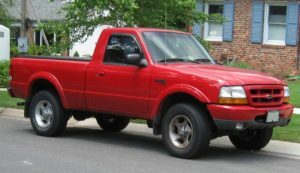 The Ford Ranger was completely redesigned in 1993. The key features in the model were superior ride quality, reliability and acceleration. On the other hand, it has low fuel economy rates than the other competitor models in its class. Though the model was redesigned, the cargo beds, engines and wheel bases were unchanged. All the models were offered in either four-wheel drive or in 2-wheel drive. It had the wheel base of 125.2 inches, length of 198.2 inches, width of 69.4 inches and height of 64.1 inches. It had the curb weight of 3300 lbs and the seating capacity of the model was 5-passengers. The after sales market provided many additional options to upgrade your truck during this period, allow you to fit a custom Ford Ranger bumper, running boards, winches, suspension and bull bars. The 1998 Ford Ranger is completely redesigned in 1998, gaining more powerful engine, freshened exterior styling and few new features. 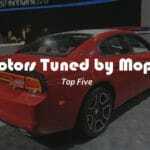 The notable features in the model are reasonable price and acceleration. 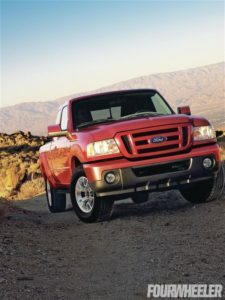 For 2009, the Ford Ranger is offered in two trim versions, regular and extended SuperCab. 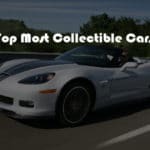 The standard engine to the model was a 2.3 liter 4-cylinder version that delivers 143 hp and it can be mated to either automatic or manual transmission. With the help of powerful engine, the Ford Ranger model can tow maximum up to 5980 lbs. The best buy vehicles apart from the Ranger model include Nissan Frontier, Dodge Dakota, and Honda Ridgeline.